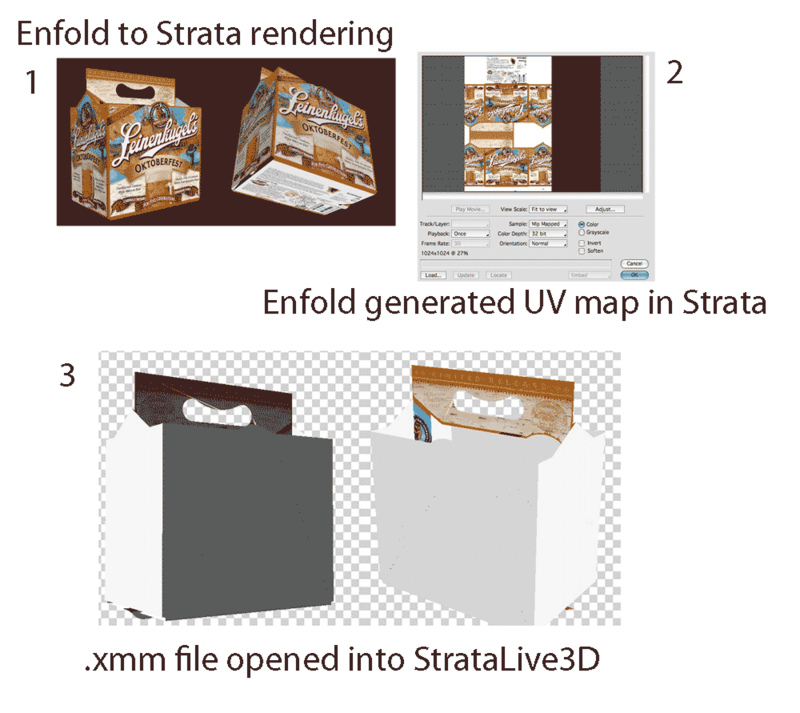 My goal is to go from Adobe Illustrator and the Enfold plug-in to StrataCX 6 and then generate an .xmm file to further take it to StrataLive 3D. I could then create a 3D PDF. I will post some image to demonstrate my problems. What has happened to my artwork upon opening the xmm file in StrataLive 3D? looks like the interior shape is fighting the exterior shape. We've discussed various methods to deal with that a bunch here. Basically, you need to alter the interior surface so that it is truly interior to, not coincident with, the exterior face. you know, you might be able to make your materials one-sided, and then be certain that front-facing is the correct direction for each, to deal with this within live3D. Your editing material in SL3D seems to have helped. Can I avoid this in Enfold prior to export and how? no, unfortunately, that's the way the carton folds. There are various things you can try, like offsetting the inner surface a bit, but there is no one-size fits all ideal solution. Like I said, that has been discussed here, you might want to look at some of the other threads. I will try your suggestions for modifying the folding process within Enfold! any suggestions I have discussed are for modifying the carton in Strata, not in Enfold. Isn't this carton really one face? 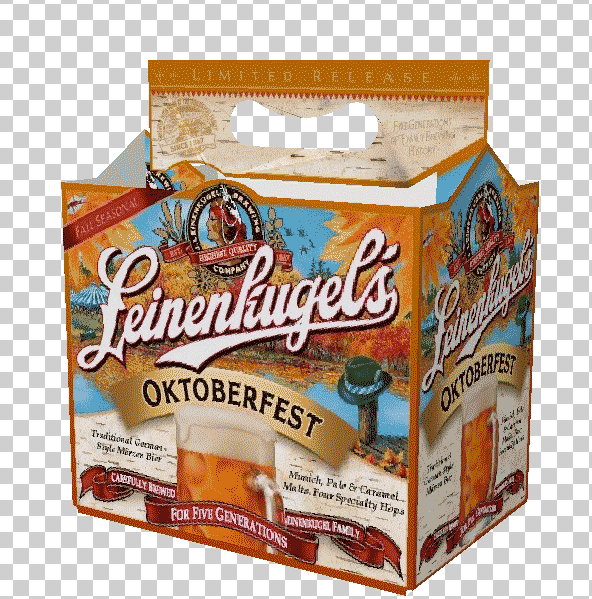 Or are you suggesting re-creating the carton to work right? Sorry so many questions I am new to this whole process, Enfold, StrataLive3D . you may be doing too many new things at once. maybe a little time with the manuals, and with some simpler test files would be helpful. Perhaps you maybe right but expectations what they are, I am pushing! I'm pretty sure there are some worthwhile tutorials for Live 3D in the manual. Thanks again Jean! I'll check them out today! Last night I was making pretty good progress UV mapping my Mayo bottle in Modo. Preliminary results in Live 3D were good when I did things that way! I think the UV mapping approach makes the most sense to me!